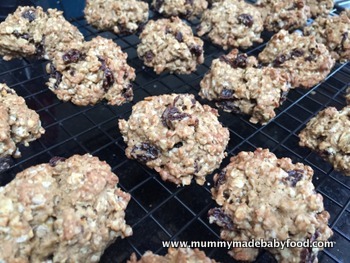 Whilst not technically a home made cake, these oatmeal raisin cookies, whose origins can be traced back to the time of Rome's attempts to conquer England, are so deliciously moreish that your children will forgive you! Apparently, the English and the Scots would carry oatmeal cakes in their saddlebags to provide an energy boost when needed. Since that time, oatmeal cookies, in its various forms, have gained in popularity. 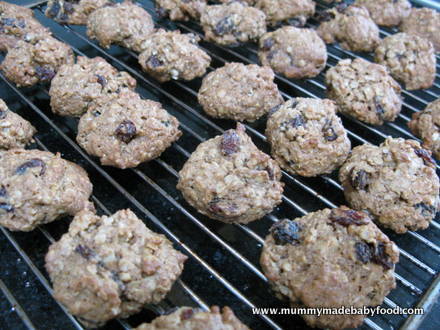 Nowadays, it is common to add dried fruit, nuts or other sweeties into oatmeal cookies to enhance the flavour. 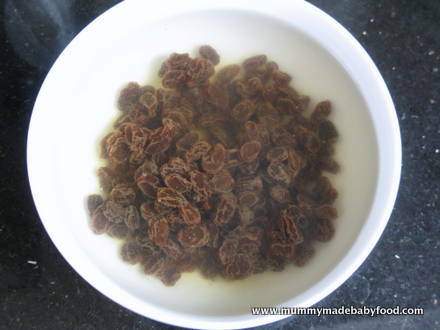 But nothing beats the classic combination of oatmeal and raisins. The recipe below contains a bit of sweet and spice to keep it interesting, but not so much as to make it sickening. Home made cake is usually quite moist and spongy, whilst cookies are drier and firmer in texture. These oatmeal raisin cookies are the perfect combination of crispy on the outside, yet chewy on the inside. 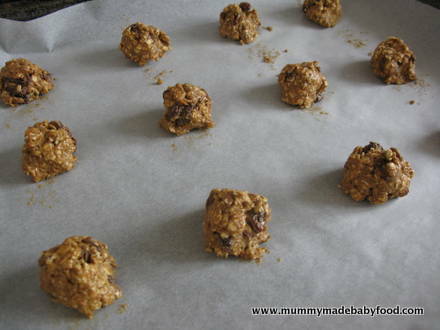 When making these cookies, I used wholegrain flour, as that's what I had, but plain white flour will also work. As the recipe calls for butter to be softened to room temperature, make sure you take it out of the fridge well in advance of when you need to use it. I was making this batch of cookies for children, which is why I opted to make mini cookies. But this recipe is really easy to scale up if you want to make bigger cookies, have a crowd to feed, or just want more for yourself! This recipe yields approximately 40 mini cookies. Preheat the oven to 175C / 155C Fan, and line a baking tray with a sheet of baking parchment. 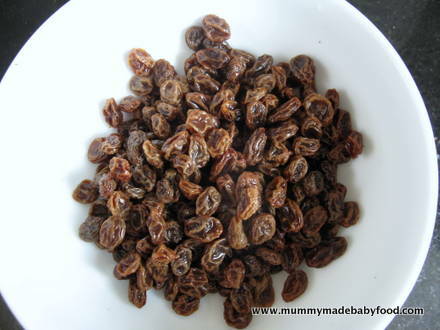 Soak the raisins in boiled water for a few minutes to soften and unstick them. Meanwhile, using a hand-held electric mixer or stand mixer, beat the butter and sugar together on low until incorporated. 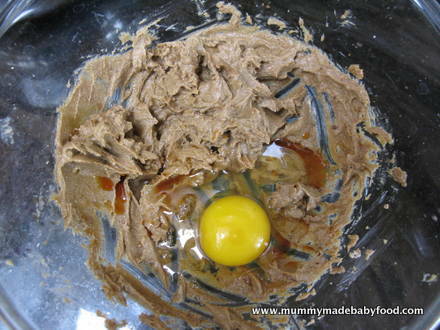 Add in the egg and vanilla extract, and beat again until incorporated. 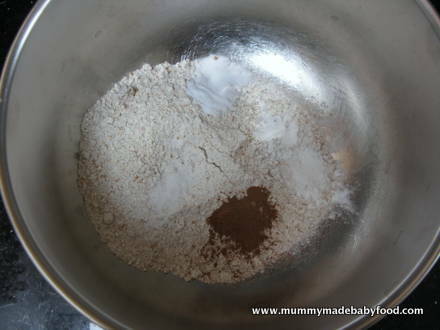 Turn the mixer speed to to medium, and cream together the wet ingredients. 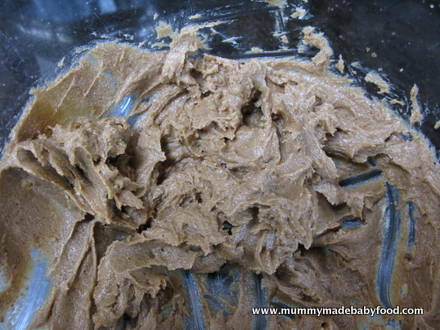 The texture should become fluffy, and the mixture should lighten in colour. 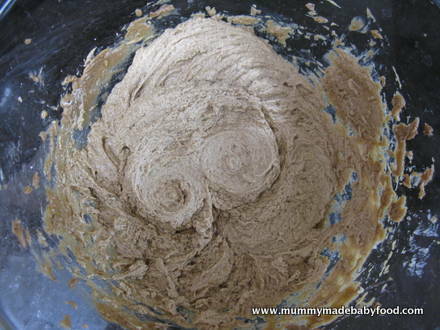 In a separate bowl, whisk together the flour, baking soda, baking powder, ground cinnamon and salt. 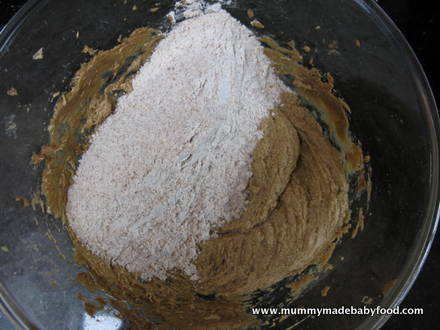 Using a wooden spoon, stir the dry ingredients into the wet ingredients until no flour pockets remain. 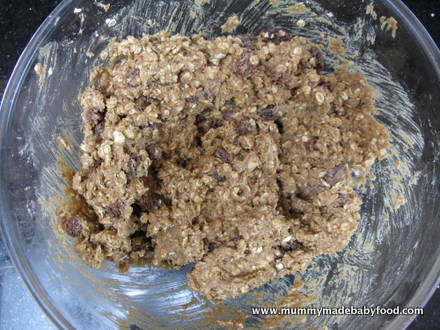 Be careful not to over mix, as this will result in a tough cookie. 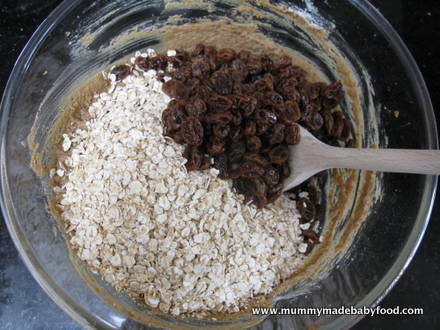 Stir in the oats and raisins until incorporated. Your cookie dough should be moist and sticky. To make mini cookies, drop heaping teaspoonfuls of dough onto the lined baking tray, spaced evenly apart - you will need to bake these in batches. Note that these cookies do not rise or spread much, so you can space each cookie about 1-1.5 inches apart. If you want your cookies to be flat, make sure you flatten the dough on the baking tray before baking the cookies in the oven. Bake each batch of cookies for about 12 minutes on the centre rack of the preheated oven until golden. Enjoy with your favourite little ones - they'll never even notice it's not home made cake!